Two years ago, a brand new studio full of ex–Criterion Games developers, Ghost Games, released Need for Speed: Rivals to coincide with the launch of the PS4. It incorporated everything great about Need for Speed: Most Wanted (2012) and added unique offensive and defensive weaponry for both Racers and Cops to use, called Pursuit Tech. They included EMPs, Shockwaves, Spike Strips, Jammers and Helicopter Support to name a few. By using the mechanics from Most Wanted, Hot Pursuit and Rivals, Ghost Games has taken the series back to what made Need for Speed: Underground (2003) so great while incorporating an ambitious storyline, a new open world to play in, insane customization options, impeccable audio design, beautiful visuals and an always online racing community. The narrated cutscenes that followed both sides of the racer/cop rivalry have been stripped away and replaced with live action scenes that follow Spike Manu, Amy, and Robyn as they try to draw out the champion racers of Speed, Style, Build, Outlaw and Crew racing throughout Ventura Bay. It was cool to see the story play out like an episodic movie, but only a few actors did an admirable job with what they were given. The dialogue left me cringing more times than I could count, and none of the characters are relatable, let alone likable. As I completed the numerous character-specific missions, the storylines started to crash into each other, making absolutely no sense. A great example of this is after I showed up to Amy’s hub after completing a good amount of her missions: Spike showed up and bitched us out for bailing on him, but at his specific meeting spot, mere minutes later, he was happier than ever to see me, as though nothing happened. Despite this, the transition between cutscene and gameplay was seamless and helped immerse me in the world and the convoluted story elements, despite my character being an introvert. 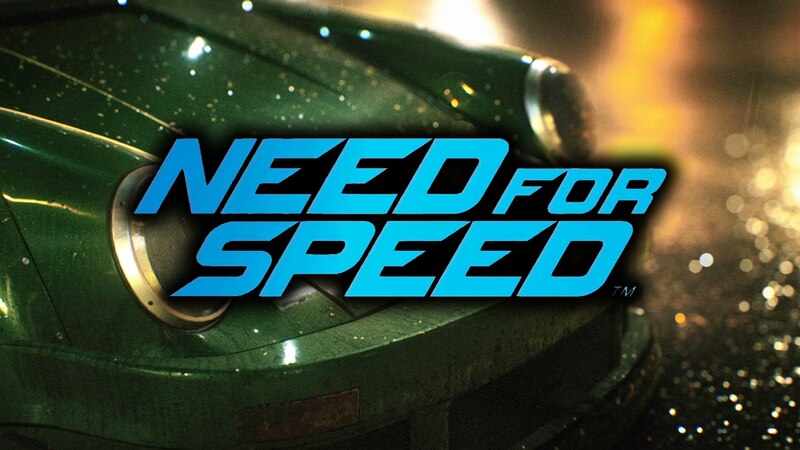 Need For Speed places the same emphasis on drifting through corners at insane speeds as Most Wanted, Hot Pursuit and Rivals did before it, but they’ve tightened up the handling significantly, making it more responsive. By maintaining a high speed, proper cornering technique and a well-timed press of the brake pedal, I could sling shot my way through corners like a bonafide badass. In terms of handling, each car I drove made the frustrations I did experience my own doing. If I didn’t anticipate a corner properly and failed to hit the brakes in time, I’d find myself bouncing off the outside wall. If I overcompensated on the brakes and couldn’t initiate the proper drift, I would lose all momentum and slow to a crawl, allowing other racers to catch up in no time. With that said, the AI-controlled drivers seemed to rubberband their way around; one moment they’re up front with the gas pedal down, gliding through turns with ease, or they’ve slowed down to a crawl like any distracted driver who’s checking their phone instead of focusing on the road ahead. If I was trying to score points with any of the characters they, too, would rubberband their way around and never seemed too interested in sharing the road with me, hitting into me or forcibly spinning me out around corners. Unlike Rivals, where you’d purchase a new car and get to racing, Need for Speed harkens back to the import/tuner culture that was introduced in Need for Speed: Underground. Ghost has made everything from new Cylinder Heads, Ignition Systems, Air Filters, Cooling Systems, Intake Manifolds, Fuel Systems, Turbochargers, Electrical Systems, Engine Blocks, Cam Shafts, Differentials, etc., all staggeringly customizable. On top of the insane amount of performance upgrades, I was able to tweak how my car handled everything I’d put into it; better suiting my driving style. In my Subaru BRZ, I opted to keep the tire pressure low up front to better steer into, through and out of a drift, and slightly less in the back to maintain just enough grip as I fishtailed around corners. I wanted my brakes to be strong enough to initiate a drift easier, so to help with that, I made my steering response quicker, made the drift smoother and easier to handle. To complement my steering, I made my sway bar stiff to limit the body roll for any sharp or aggressive turn. Finally, I chose to have my Nitrous produce more power for a shorter amount of time rather than choosing less over a longer span of time. Since Frostbite 3’s debut in 2013, the engine has become beautifully versatile, and Need for Speed is a perfect example. By performance standards, it handles everything on the streets of the fictitious, and always wet, Los Angeles—Ventura Bay—with ease and packs some of the best audio design I’ve ever heard in a racing game. Ghost has blended every individual sound from the RPM’s climbing, to the turbocharger forcing mass amounts of air into the cylinders, or the squealing tires as I drift around every corner and the backfire exploding from the exhaust pipes as I slow down. The only drawback to audio is the incohesive soundtrack. With such an incredible amount of great dubstep and drum and bass tracks, why muddle it up with bad alternative rock and pop songs? The graphics are absolutely stunning, flirting awfully close to being photo realistic. The cars are beautiful and include every fine detail possible on the outside, but it’s a shame that there’s no cockpit view to appreciate everything inside as well. Ventura Bay never seems to get any sunlight, let alone stay dry for any length of time, but I ignored it because of how beautiful and detailed everything is. Need for Speed requires an Internet connection at all times so that other players, along with NPC’s, can populate the world to challenge each other to various impromptu races. These range from Time Trials, Sprint Races, Drift Trains, Drift Trials and Touge Races. While I’m out trying to beat the clock, crush other racers’ times, drift with friends and on my own, or combining my speed with drift skills—I can complete the various daily challenges that have returned from Rivals. Upon completion, I receive extra cash, rep, and rank. These rewards are earned from a variety of feats that can range from accruing a substantial fine for speeding and getting away from the cops, narrowly missing other cars during a pursuit, competing against friends in different challenges, etc. Questionably, cops didn’t populate the streets or become a nuisance until after I’d completed more than half of the story missions. Need for Speed is a solid reboot for the tuner side of the franchise, but it crumbles under the weight of its ambitious and disjointed story, as well as the awful characters it revolves around. It’s just as fun and tight as ever, looks and sounds immaculate, and the always online functionality works surprisingly well but doesn’t make the case for why it’s necessary. While I’ve enjoyed coming back to the series and customizing my vehicles, I’d rather play Most Wanted or Rivals instead.